Woodworking is not virtual. It's vital. We get our hands on a natural material of the highest order and fashion works of beauty and utility to the highest standards of our craft. We build furniture in small runs or batches. With several items to build, we can amortize our setup time, save steps, focus attention, learn a lot. With not too many items to build, we can be craftsmen and not machine tool operators. Everyone is encouraged to experiment, improve their skills, and use the shop. We have five paid holidays per year and accrue paid days away for sickness, vacation, family, or chores at their discretion. Overtime pay begins with the 38th hour. We share the profits. Twice a year, we print everyone a sales chart, balance sheet, and income statement. We go over the financial statements, line by line. Whether there is profit to share, or not, and why, is revealed. 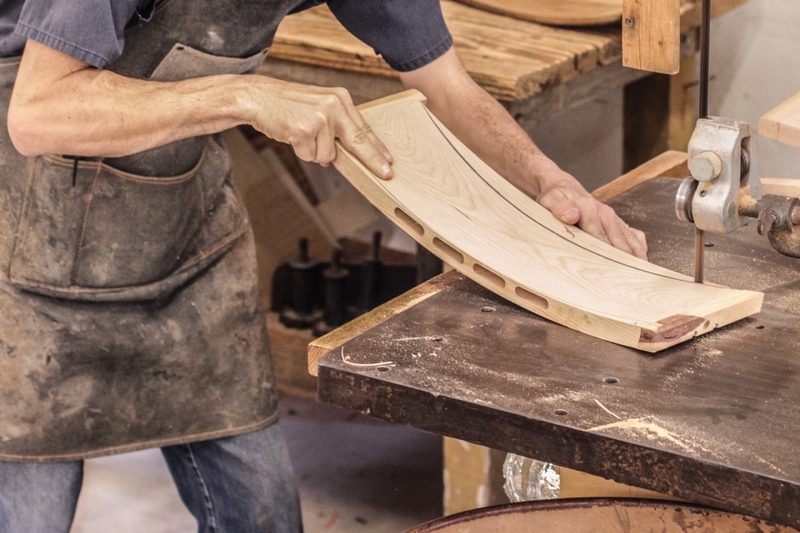 We look for ways to build better furniture in less time, and how can we better serve those who trust us. We replaced our serviceable, vintage, and revered Powermatic table saw with a new Saw Stop machine. This saw has the near magical ability to stop the spinning blade when it touches flesh. We develop operations, systems, jigs, fixtures, and guards to make specific parts more safely, and not incidentally, more precisely. We collect the dust, filter the air, and keep the place clean. An audiologist assessed the shop noise. We'll be fine if we wear our earplugs or muffs. A decibel meter app on the iphone helps us isolate problems. Many of our motions are repetitive. We get our backs into our living. A physical therapist tailored a program for us to care for muscle, tendon, cartilage, and bone. Varnishing the tabletops releases VOC's. We designed and built a scrubber.